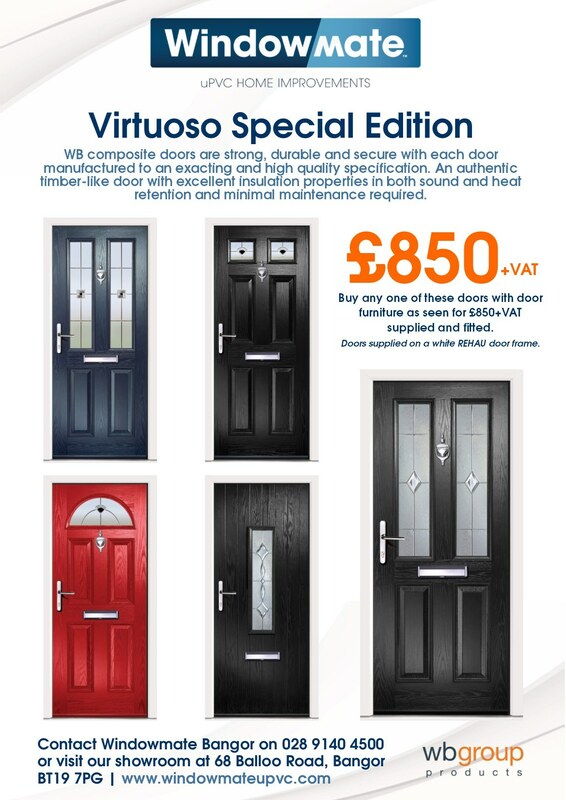 Buy any one of these doors with door furniture as seen for £850+VAT supplied and fitted. WB Group composite doors are strong, durable and secure with each door manufactured to an exacting and high quality specification. An authentic timber-like door with excellent insulation properties in both sound and heat retention and minimal maintenance required. Offer valid until December 2015. Doors supplied on a white REHAU door frame.